Add striking colour to your hair without the commitment. 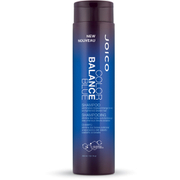 Joico's Instatint Titanium Temporary Color Shimmer Spray is a non-permanent hair tint that allows you to experiment with a mix of colours and effects. Suitable for all hair colours, textures and lengths, the metallic steel spray can be applied subtly or liberally depending on desired intensity, and can be mixed with other colours to create a show-stopping look. Infused with temporary pigments, the spray delivers no-commitment colour that saves your hair from the processing damage often associated with bleaching and permanent hair dyes. The colour will stay put in your hair for up to three full days; as soon as you're ready to switch it up, simply wash out. The shimmer spray doesn't just update your hair colour, it also treats and protects; its Bio-Advanced Peptide Complex helps repair, fight frizz and add shine for luminous, radiant, healthy-looking locks. 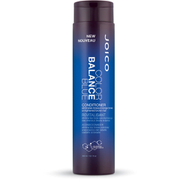 Spray onto under layers of hair for high-fashion highlights, or apply all-over for a bold change. Suitable for all hair colours, textures and lengths. Spray 8-10 inches from dry hair, using short bursts. Allow product to dry between applications, layering to intensify colour.